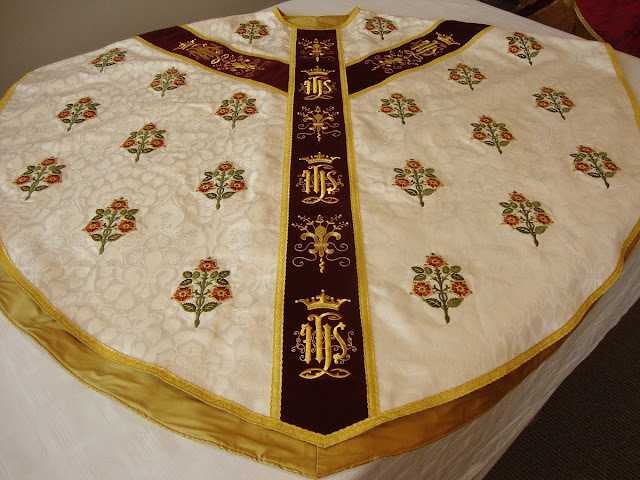 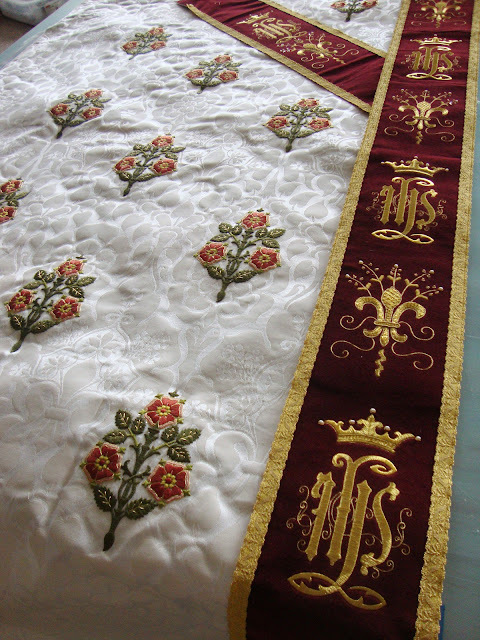 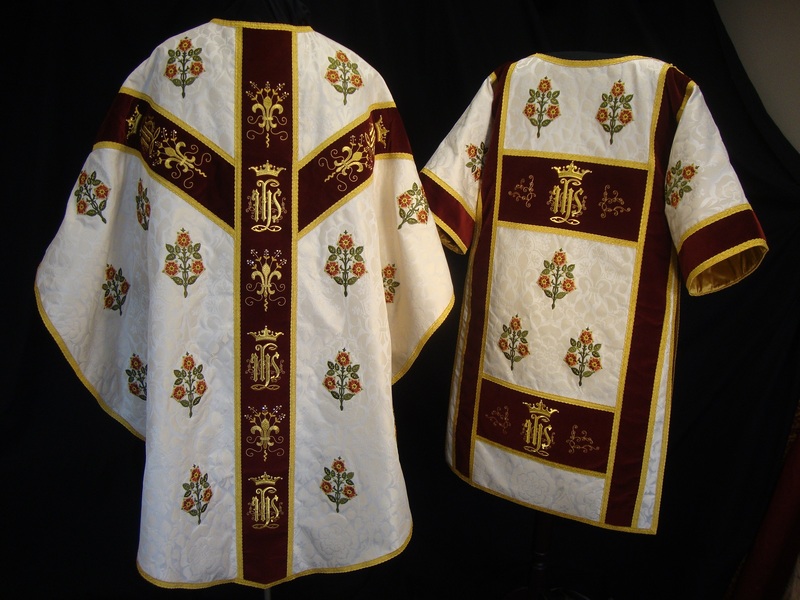 As you know, we here at LAJ are always on the look out for new vestment work and recently I came across a gothic revival chasuble from Altarworthy -- a company which is based out of the United States -- which is worth some consideration. 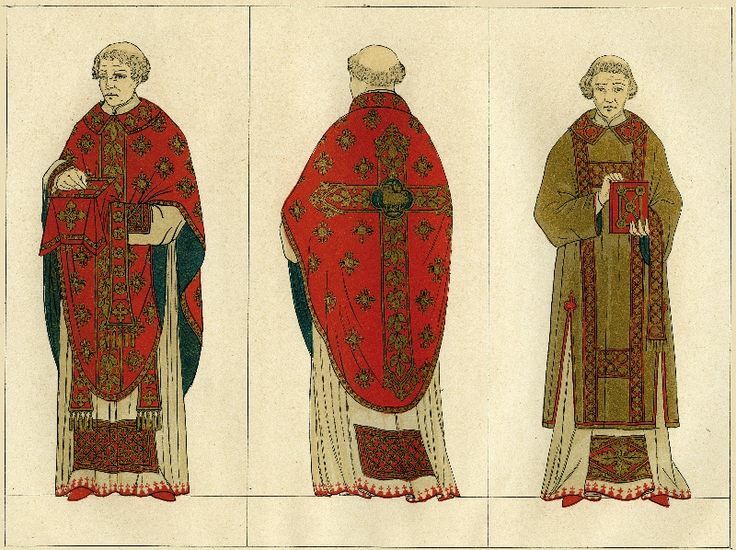 The design picks up on a point about certain manifestations of gothic and gothic revival that we have touched on here before: often these vestments were, historically, more ornamental in their designs than some of their later, mass produced mid-20th century counterparts, which makes them rather more interesting than many might otherwise associate with them. 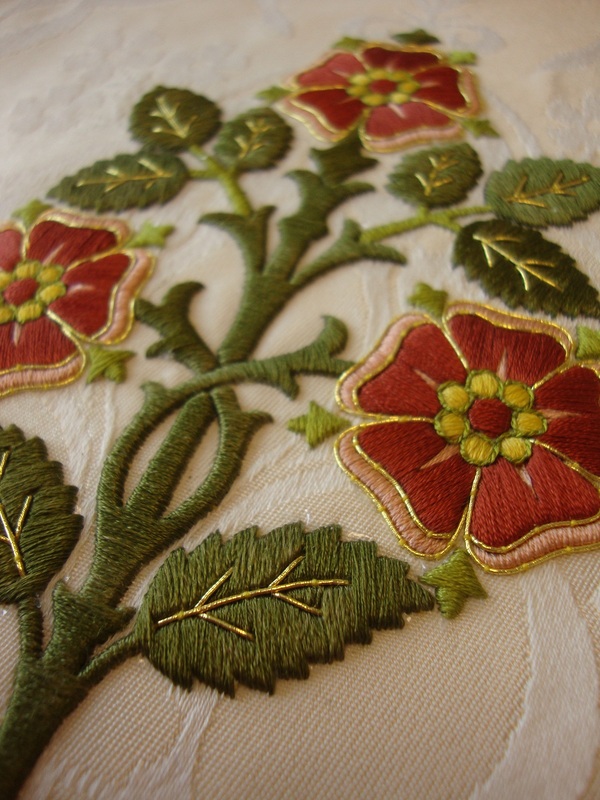 In this particular instance, it is especially manifest in the repeating, embroidered Tudor roses that ornament the white silk damask. It is precisely this sort of ornament that makes this particular chasuble stand out (and above) so many of the other gothic revival works that you more commonly see made. 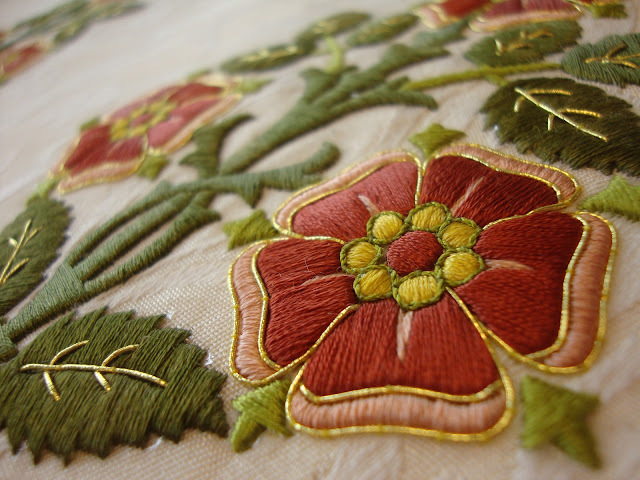 Particularly appealing are the colours utilized in the Tudor rose embroideries. 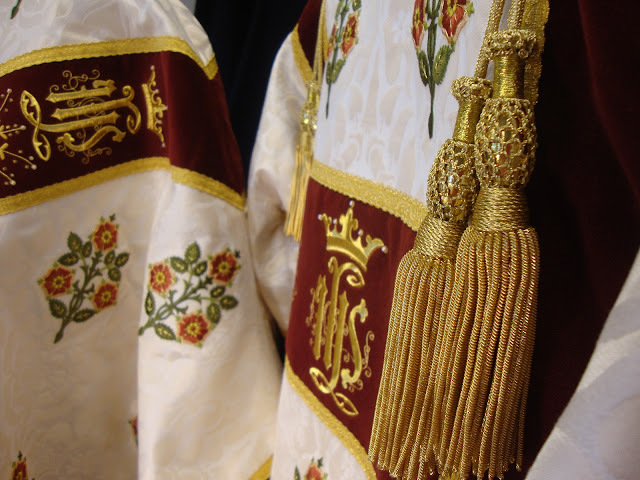 There is both a delicacy to them and a richness. Some gothic revival work seems overly fixated on primary colours, but this particular set doesn't fall into that -- and it is the better for it. Do head on over to their site to take a look at some more of their work.